I'm lucky. I live in a foodie town: San Francisco. The restaurants are in a class that many people don't get to enjoy unless they travel here or to other major urban centers. Don't get me wrong. I will dive into a plate of deep fried cashew chicken or Chevy's carnitas and I will enjoy myself thoroughly. But, this is not about the food, per se. My issue, and it's not new, is with tipping. Inherently, I believe it's evil in that it's basically mandatory. 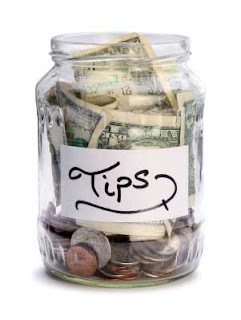 The "tip" is not so much a reward for excellent service; instead, it's a subsidy for the restaurant owner so s/he doesn't have to pay the staff an appropriate wage perpetuated by social pressure. My two cents. Take it or leave it. Recently, I was reflecting on something incredibly boring and probably something most of you never think about: insurance broker fees. Now, you're probably thinking, "How is he connecting insurance broker fees to tipping?" "And why in the hell is he thinking about insurance broker fees?! Zzzzzz. . . ." Allow me to explain. If you have an arrangement with a broker where they get a percentage fee based on the overall cost of your benefits, as costs go up, so do their fees. However, the amount of work hasn't changed. It's not like negotiating health insurance rates radically changes from one year to the next, but we all know that the costs have increased by double digits for some people over the past several years. Why, I ask, should we pay the brokers more? No, a flat fee make more sense. Why can't this work for restaurants? 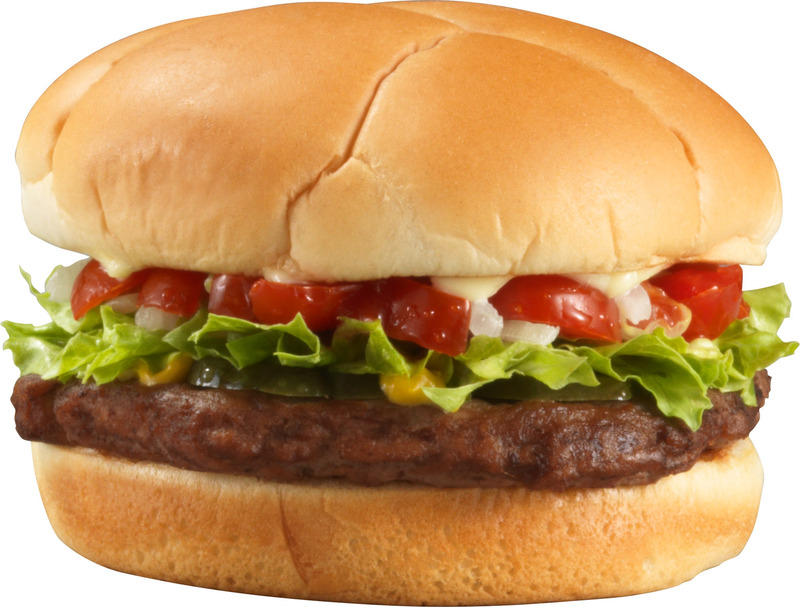 If a waiter brings me a burger that costs $15 and my guest a steak that costs $45, does the work actually justify the difference in tip? Humor me for a minute. If I tip the traditional 20% on my burger, the server gets $3 for bringing me a burger (and maybe a ramekin of delicious horseradish aioli). The steak, however, nets the server $9! Again I ask, what is the difference in the work? Was that steak exponentially heavier? Did the server have to do anything fundamentally different when serving the steak vs. the burger? I don't think so. And this has led me to my proposal. I am proposing a flat-fee for the time I am served. Despite my issues with subsidizing an employer's workforce, I will concede that I am willing to pay for good service. That service, however, should not be tied to the amount of my bill because the service has no impact on what I order. Instead, I am asking for a level of service for the time I am sitting in the establishment. Let's say, depending on the kind of restaurant, I'm willing to pay for $5-10/hour to be served. When added together with the other patrons, I think this comes out to a fairly decent hourly rate of pay. If a server in SF has six tables, s/he is earning $10.55/hr in salary and, potentially, an additional $60/hr. in tips. If you'll allow me to extrapolate and compare this to a regular 40 hour per week job, we're talking about a salary of $146,744. Not bad, huh? Yes, I know the servers won't always work 40 hours per week and may not always have six occupied tables every hour. However, based on what I see (and I eat out a lot--A LOT), this is not a crazy assessment. Besides, the limited schedule, if one works fewer than 40 hours per week, may also be seen as a benefit in and of itself, too. We all know people who work in the restaurant industry just for this kind of flexibility in their schedule. In short, I suggest you think about this the next time you're dining out. Why was that entree worth more in terms of service than the appetizer you ordered? Why, in your life, are you paid for your time and not necessarily the product with which you're associated? Is it fair? I don't think so. 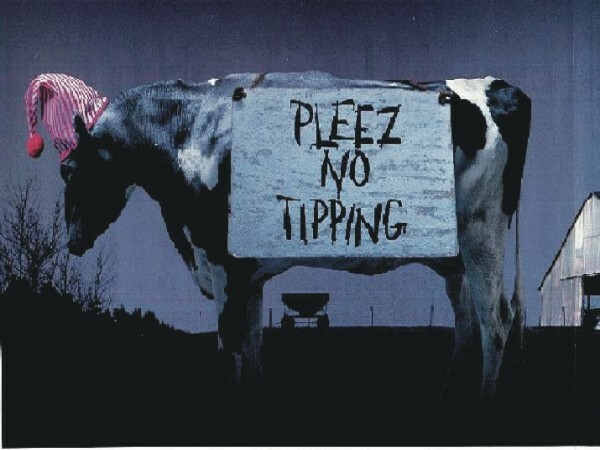 It's time to change tipping. Down with 20%! Embrace the flat fee. I do this with my haircut. I started going to a barber who charged $8 for a cut and shave of my neck, no wash or blow dry. I tend to tip $8, more for time then work. My little dog, a cairn (Toto), costs $50 for a double wash, cut, blow-dry and nails. He is usually there 2-3 hrs so I tip $25. Yes, I want to make sure they take good care of him. Every time I pay though, they act as if I gave them too much. I also only tip in cash. If you tip on a credit card the server has to claim all the tip. If you tip in cash, they only have to claim 8% (this my vary) which helps compensate for the assholes they have to deal with. I hear what you are saying and agree with you in theory, but do concede that the service tends to include more than carrying your plate. Case and point - the service I get at my local diner is not quite the same as the upscale steak house in my n'hood. However, I like where you are going with this because what I can't seem to figure out is what type of activities should be tipped. It seems like every store I walk into in Boston has a tip jar. Funny, I thought working as a cashier at a retail store was your job - why am I looking at a tip jar for you? I'm sometimes tempted to say something like - here's a tip... less texting on your phone will make the line here move faster. I suppose that would be frowned upon though as bad form. I hear you. My stylist raised her prices significantly over the past year, but I'm not increasing my tip. The work is the same!